The State Meet will begin with a parade of athletes at 10:30 am. The throwing events will begin at 11:00 am followed by the running events. 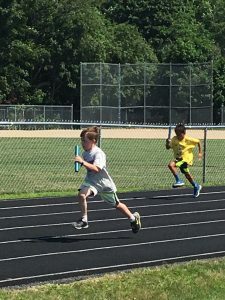 REGIONAL & STATE MEETS: Children may participate in(1) field event and two (2) running events and the relay OR two (2) field events and one(1) running event and the relay. The top four finishers in each event and each age group and gender at the regionals will qualify for the State meet. If you are a coach and have an athlete place in the top four at the regional meet, that individual will automatically earn a slot at the state final. If for any reason that athlete cannot make it, it is your responsibility to let the meet director know. All regional meet results will be merged and all slots will be filled and coaches will be contacted by email. Coaches should verify that their top four finishers will be participating in the state meet. If finishers #1-4 aren’t available, please contact your #5 finisher. We would like the maximum number of athletes to participate in the state finals. We will not be collecting copies of birth certificates at any level. 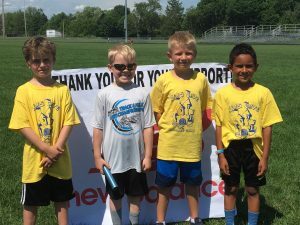 Coaches need to check birthdates at the local level to make sure athletes are participating in the right age group. We will give ribbons for 1-4th place at the regional and state meets. Local organizers may/may not give ribbons. 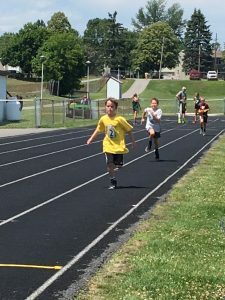 None will be provided by MRPA Track and Field for local meets. Athletes will receive State Finalist shirts at the state meet. Coaches need to make sure athletes who qualify for the state meet receive a shirt at the state meet.